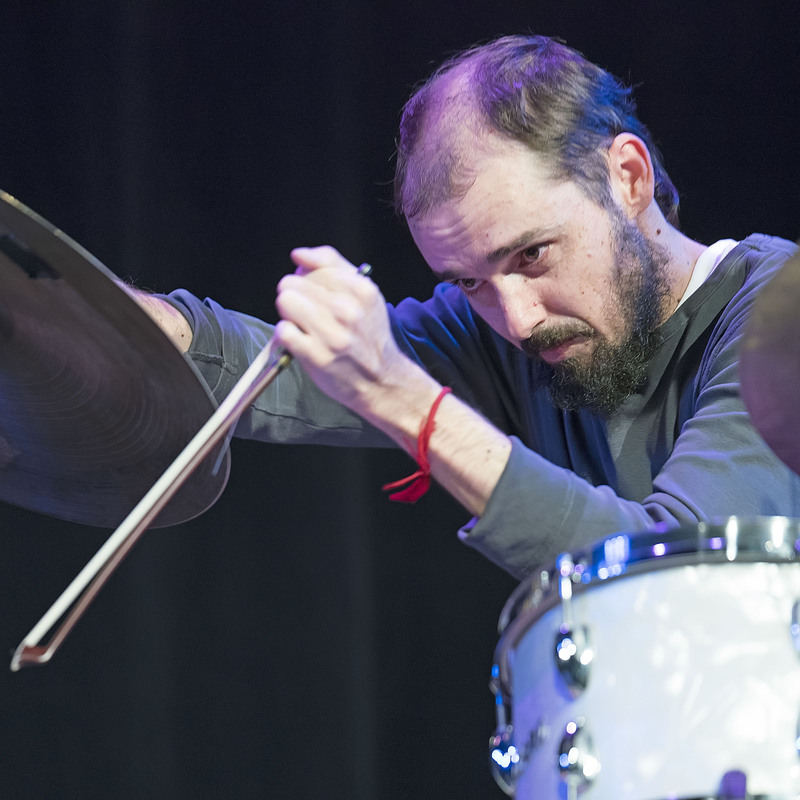 João Lobo is a portugese drum player living in Brussels. He is not Norberto Lobo’s brother or cousin (even if they play a lot together and Norberto Lobo did the drawing for this record). From jazz to gnawa music, instrumental electronic trance to original rock, contemporary dance to music for film, João Lobo plays as co-leader and sideman in several groups such as Norman, Oba Loba, Going, Tetterapadequ, Mâäk, Giovanni Guidi Trio, among many others. He has also participated in the creation of contemporary dance performances by WE GO, Ballets Confidentiels and Sarah Ludi, and made music for the movie John From, by portuguese director João Nicolau. He has played on more than 40 records that range from self-produced to famous labels such as ECM, Clean Feed or Cam Jazz.